So Carla, who is up this week? Kaelah of Little Chief Honeybee. I know there's quite a few Kaelah fangirls out there, and rightly so. Her blog is a mix of outfit posts, photography, music and more. She also hosts some of the most generous giveaways I've ever seen, which have featured peices from indie designers to cameras. She sometimes posts vlogs and her Southern accent makes me melttttt and miss all my American friends very much! I know what you're all thinking. WHUT A HOT MESS! And yes, she is - that's why I love her. I've already written a post professing my adoration of all things Ke-dollar-sign-ha, but she had to make an appearance for Girl Crush Wednesday as well. 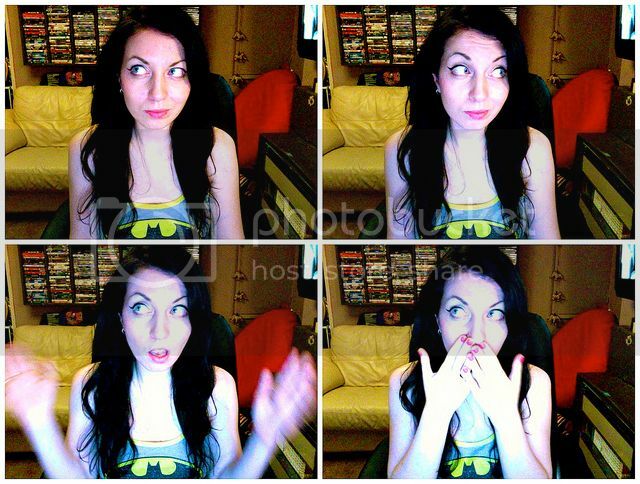 What I really love about her, is she doesn't take herself too seriously. Her new video for Blow features unicorns and an altercation with "James Van Der DOUCHE", acts like a small child at the zoo and her Disney princess spoof is the funniest thing I've seen in ages! If you're still not convinced, at least promise me you'll check out The Harold Song. It may surprise you! Laura from That's So Yesterday. One of my favourite blogs at the moment is That's So Yesterday, which is a fabulous mash up of fashion and makeup. It's run by the gorgeous Laura (who could get a part time job as Juliet Landau's stunt double...?) whose dress sense I just love - mixing bold prints and block colour. She also has a YouTube channel (everybody go "awwwww" at her bambino in the background! ), so be sure to check that out as well. And that's your lot for this week. Also before I forget, I've been on a bit of a Spotify kick this week, and have created a playlist with a bunch of songs I'm really loving at the minute. So feel free to give it a clicky-clicky! Will have to check out the two bloggers you featured this week, I've not heard of either of them! 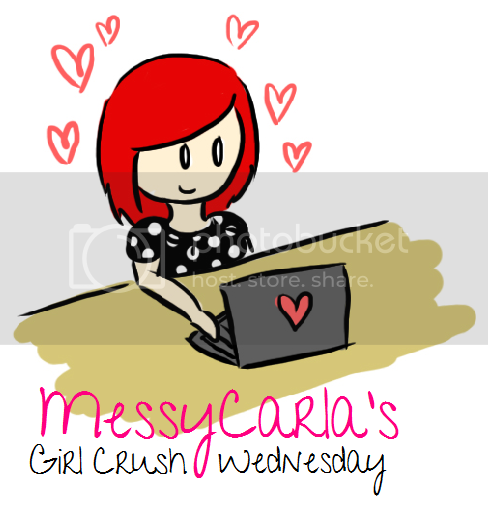 I love your girl crush wednesdays! I love that you chose Laura!! Kesha ... I don't know. I've seen her in interviews and she comes across as arrogant. Maybe its just me! Oooh fab, lovely new people to check out. Ooh I love kaeleh's blog, thanks for introducing it to me! I love this feature. 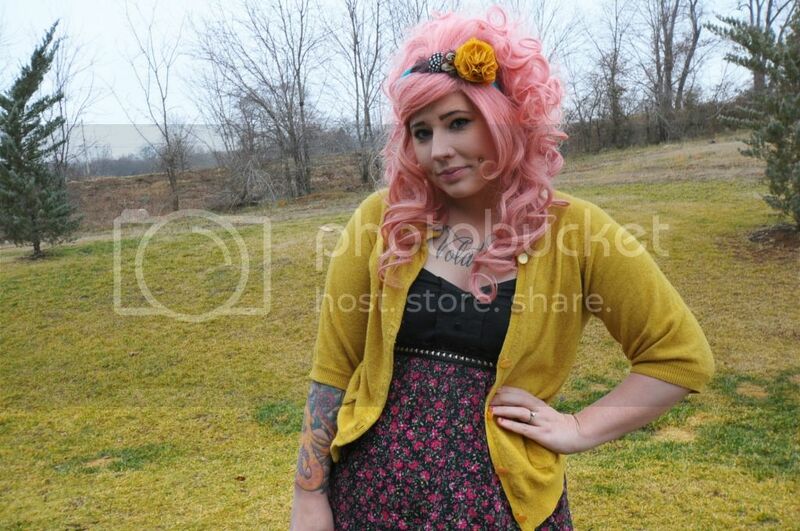 I love Kaelah and her blog, stunning lady! The dress is gorgeous. I'm jealous it's vintage that means I can't get hold of one, haha. How do you get your hair so red? I tried getting mine that colour but failed miserably. I'd never seen that Disney Princess Ke$ha video before; it's hilarious! OUTFIT POST: Clash of the Clashes! Ask Me Anything/Q & A? Outfit Post: Daisy Dares You. Outfit Post: Fun and Fashion at the Museum.